3 Great Comic Reviews This Week!! Lots of new number ones and books returning from a production hiatus are all over the new comic releases this past week. As I'm currently plowing through Rick Remender's run on Uncanny X-Force, I picked up his new sci-fi, apocalyptic Low, out on Image Comics (of course! ), to see what he's got going on over here. 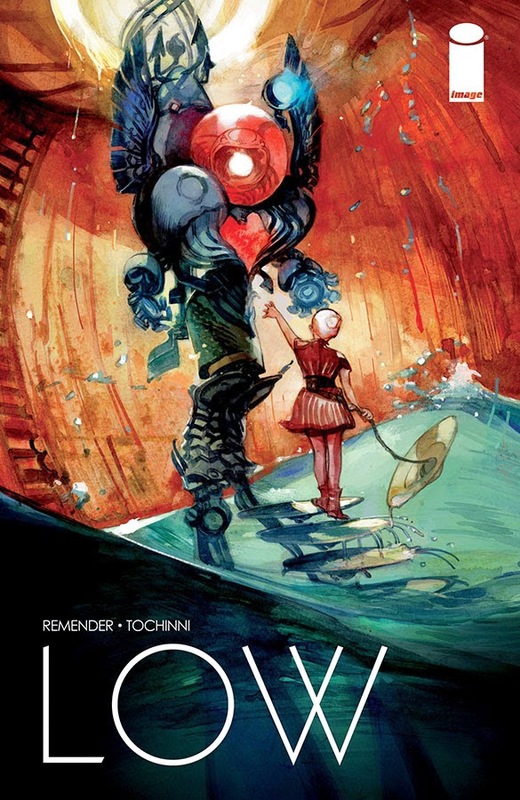 The premise of Low is that as the sun begins to die, humanity is forced under the water, setting up colonies under the ocean, complete with rival factions and pirates. Civilization is hunting for a new planet, while trying to survive on the dying one. Remender introduces us to the plight of these people, through the eyes of Johl and Stel Caine, the founders and protectors of the city. Johl has given up hope in finding a refuge, while Stel routinely checks their probes for new information. Exposition is accomplished through an extended scene of playful nakedness with the married couple, and we get TONS of information. Johl is ready to bring his daughters into his world of donning the nearly mythical "Helm," a suit that only Caine's can pilot, and searching for food for the colony (as his son has no interest). Stel, of course, thinks they aren't ready, but she goes along with her husband's wishes. Remender does a great job balancing the science fiction elements with more grounded character work. The way he portrays Johl and Stel's marriage is honest in a refreshing way, especially given the futuristic backdrop of this story. Likewise, in the book's climactic battle, we get a full idea of the stakes and the world, where survival isn't just about finding a new planet, but living in this one. We're given a better look at the caste system that's sprung up, and how this breeds vitriol. Greg Tocchini is delivering some of the best comic art this week. The devil is in the details and there are plenty of them at play in Low, all of which work together to create the world of this book. My other two big books this week are ones returning after a bit of a stretch. Production delays are nothing new to comics, but with serialized storytelling, consistency keeps the plot fresh in the minds of the readers. 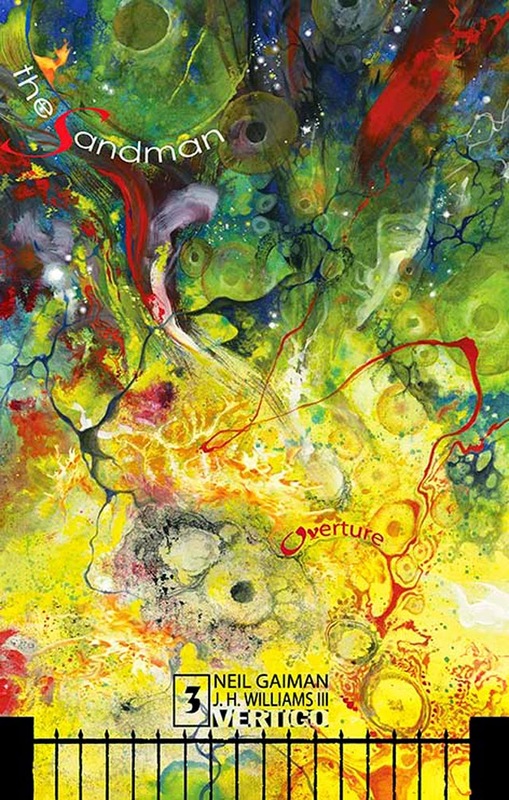 First up is Sandman Overture #3, from celebrated author Neil Gaiman and acclaimed artist JH Williams III. Here, we follow Morpheus as he accompanies himself on the path towards a star that’s gone mad. It could possibly mean the death of the universe and Morpheus himself as various interstellar races head to the same location. Along the way, he and his cat self encounter the three fates, and pick up a small child who’s family was murdered and Morpheus avenged. There’s plenty of references to the Sandman mythology and Morpheus tells a “love” story that he has never told before. Overture is meant to be a prequel to Gaiman's iconic Vertigo series, The Sandman, telling the story of the battle that led to Morpheus' exhaustion and capture that set Sandman into motion. Gaiman's voice is all over this book, which is no surprise at all, and fans of the series and author are no doubt in heaven. JH Williams III's art is jaw droppingly beautiful, which is what comic readers have come to expect. It's a book that's dense with ideas and deals heavily with one of Gaiman's favorite themes, the power of stories. While I want to adore this book as much as my eyes, a story as rich as Overture is difficult to penetrate with a sporadic production schedule. I realize it's often out of the creative team's hands, but for me (and I hate to say this), I'm getting the vibe that I'll be waiting for the inevitable deluxe collection to dive completely into this book. Overture isn't a book to be taken casually. This is a book that rewards careful reading, and immerses its readers fully into its world. Finally, Marvel's Hawkeye is back!! Although there's been sad news for this title of late, that writer Matt Fraction and artist David Aja are leaving after issue 22, this issue still proves they have the momentum to deliver an excellent tale. 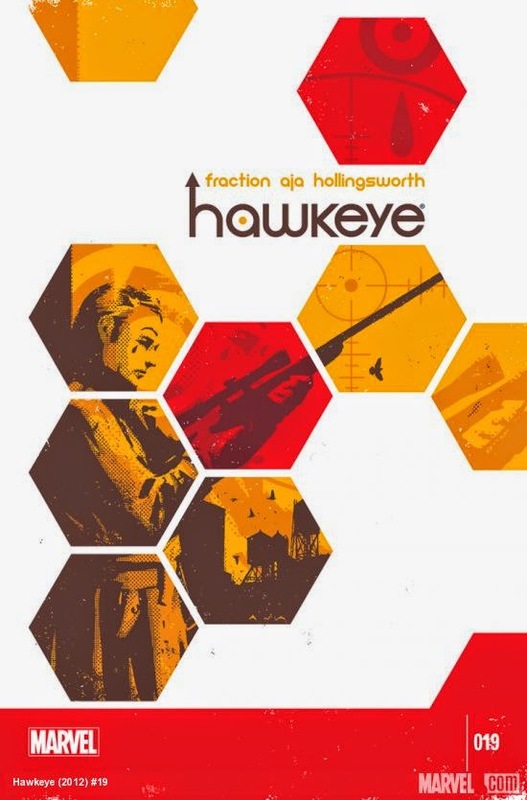 Hawkeye has also been plagued with delays, with four months having passed since the last issue. Issue 19 proves these guys still got it, delivering an experimental issue calling back to the famous "Pizza Dog" story. Of course, we have to remember that Hawkeye's also spilt its narrative between Kate Bishop, on the West coast, and Clint still in NYC battling The Clown. What this means is that we haven't checked in on Clint since January (our time), when he was shot. Now Clint is struggling with a hearing impairment, something we discover he suffered with as a child. Unable to hear, the dialogue in this issue is hardly present. Whenever Clint is on page, we see blank word balloons where the intent is told through the image and the shape of those balloons. In other spots, great care is taken to render the ASL (American Sign Language) to deliver the words. It's a striking undertaking, and one which Fraction and Aja pull off with incredible results. In a flashback, we watch Clint and his older brother, Barney, as children dealing with Clint's hearing loss and domestic abuse. There's a scene with the brothers, one that both gives us a deeper glimpse at the bond between these characters, but sums up Clint's emotional state. Barney imparts his wisdom to his baby brother: "Make everything something to hit with. And hit them until they stop." It's a moment both tragic, that their world has taken them to this point, and one that adds new depth to Clint's character arc on Fraction's run. This memory inspires Clint to make a speech to his building's tenants, one meant to inspire them and prepare them for what's to come. Clint and Barney undertake a massive assault on the "Bro's," hitting their businesses and people. Hawkeye is also one of those books where the entire creative team creates something larger than their individual parts. Fraction has grown into an insightful writer, capturing subtle, yet impactful emotional character beats with a clarity we don't usually see in comics. David Aja's artwork and Matt Hollingswoth's color palette have always jumped off the pages, an integral part of the aesthetic that sets the tone of the book. Aja's attention to detail to the signing in this issue gives readers an idea of just how professional and dedicated he is to the work. What did you like this week? What turned you off? This may seem like a fairly straightforward question, but if you ask a group of ten cosplayers, chances are that you’ll get ten different responses. 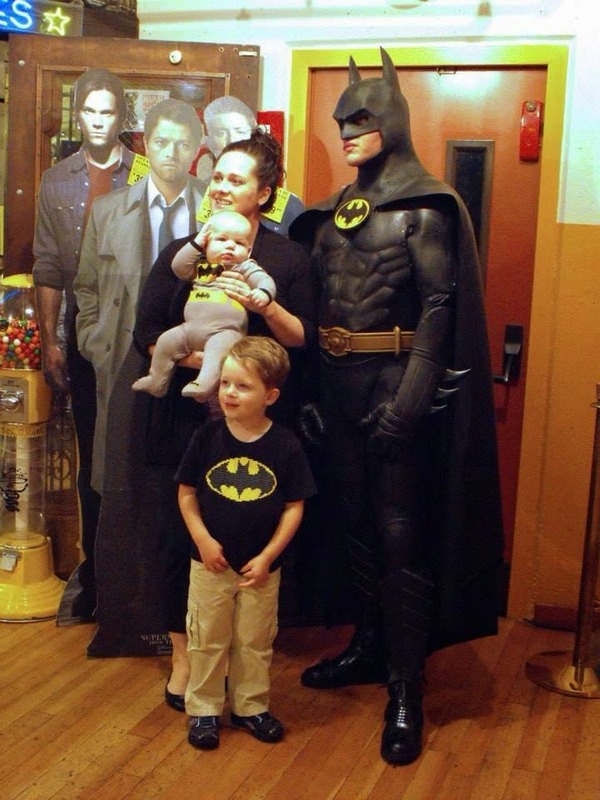 People make and don a costume for a variety of reasons, and they’re all completely valid (unless you’re putting on a costume to be a creep, then, well, that’s not so awesome). 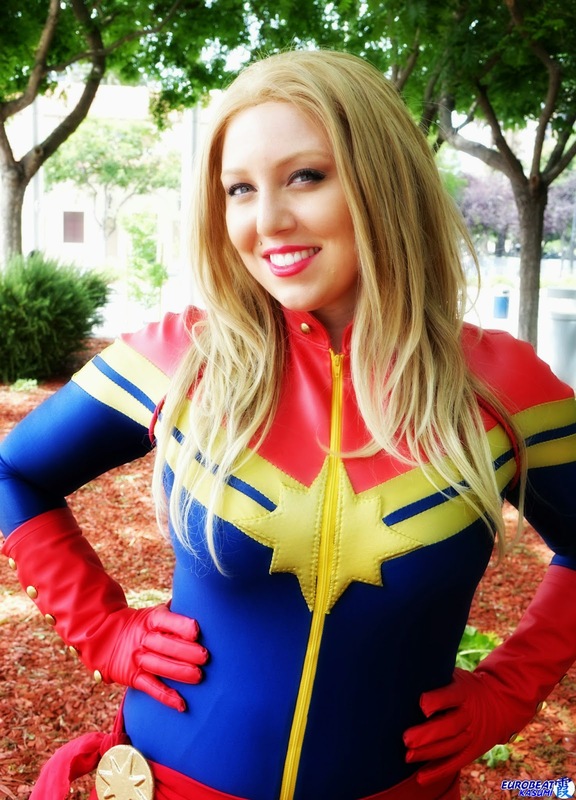 I reached out to a few of my friends that cosplay to ask why they do it, and received some amazingly thoughtful answers. I was originally going to take snippets from their responses, and write an article around that, but I found that I could not cut any of their answers – they are all so candid, different, and robust that I wanted to share everything they had to say. So, without further ado, let’s find out what they had to say. 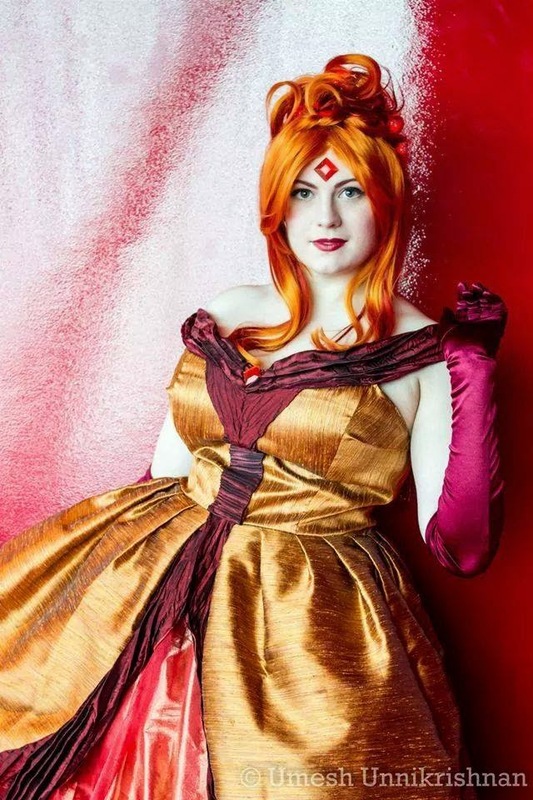 What particularly stuck out to me from Brigid’s response was her admittance of enjoying the planning, drafting, and construction phase of cosplay – she refers to it as a “puzzle” that needs to be solved. Brigid is an absolute wizard at constructing beautiful ballgown costumes – keep up with her projects here. My friend Kayla really drove it home, with her response: “I cosplay because it’s an escape for me. Life throws us curve balls everyday. And, sometimes, life can be hard. Cosplay gives us a chance to be someone else. It could be a cute princess, or a mighty warrior… For that one moment, I feel completely free [of life’s hardships].” Kayla does cosplay photography in addition to cosplaying. You can find her works of art here. I found it particularly interesting that there’s a couple underlying themes amongst all the separate responses; People participate in this hobby like other people read a good book, or watch a movie – it’s a chance to escape the responsibilities of life for a time, and have the freedom of expressing love for a story. 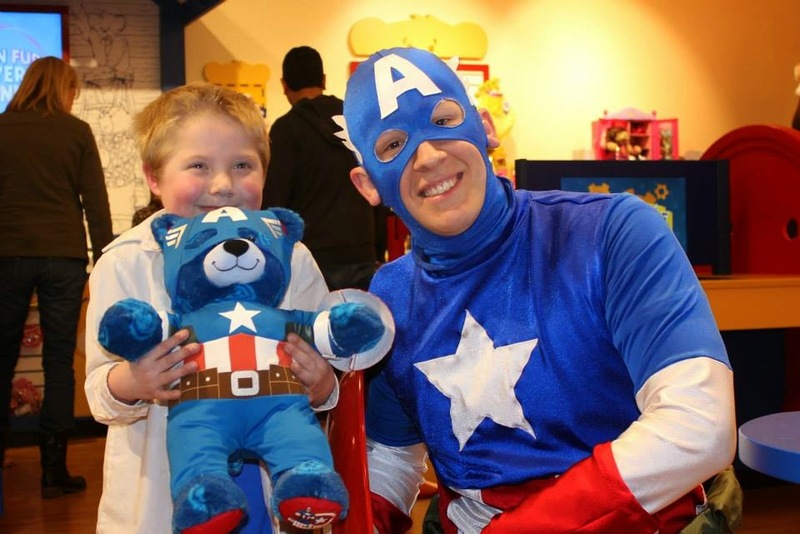 Additionally, it seems that people truly love making others happy through their cosplay. 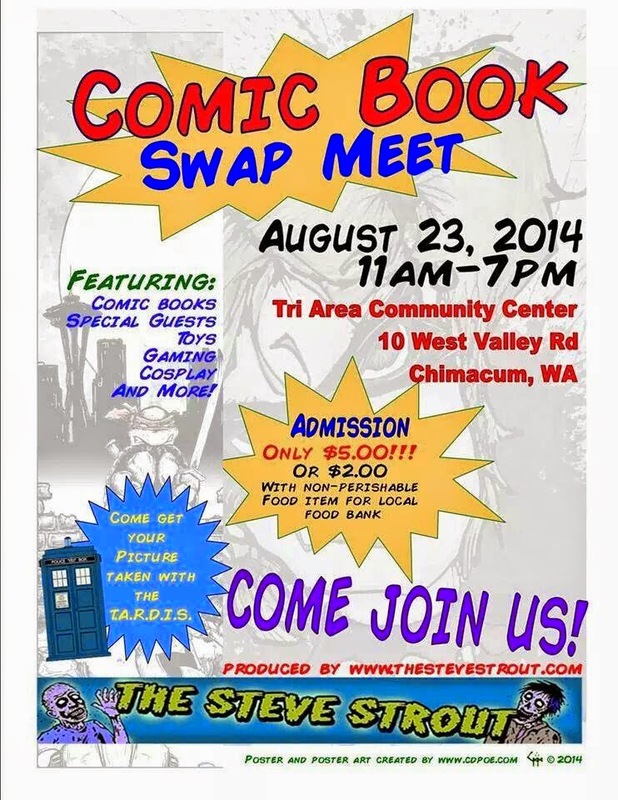 It’s a great outlet for exercising creativity and bonding with other members of the community. 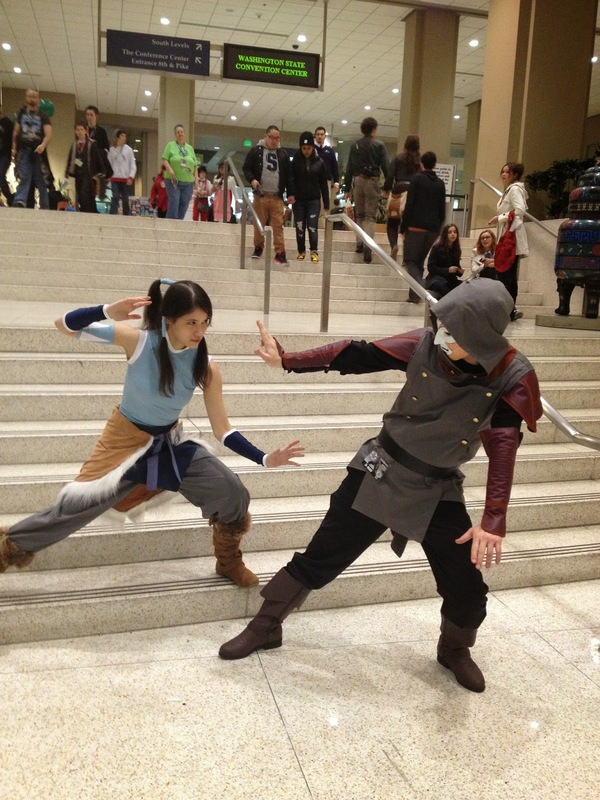 I’d love to hear more responses; if you cosplay – why do you do it? 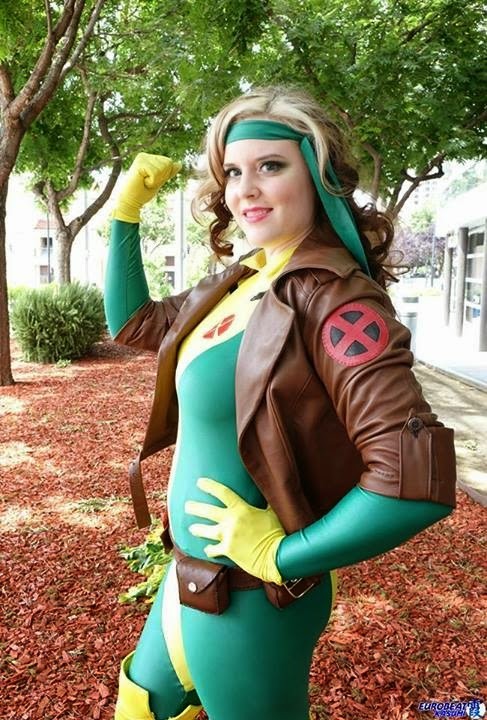 Kit Cosplay is a co-founder of the Comic Book Charcters For Causes fundraising and charity cosplay group. 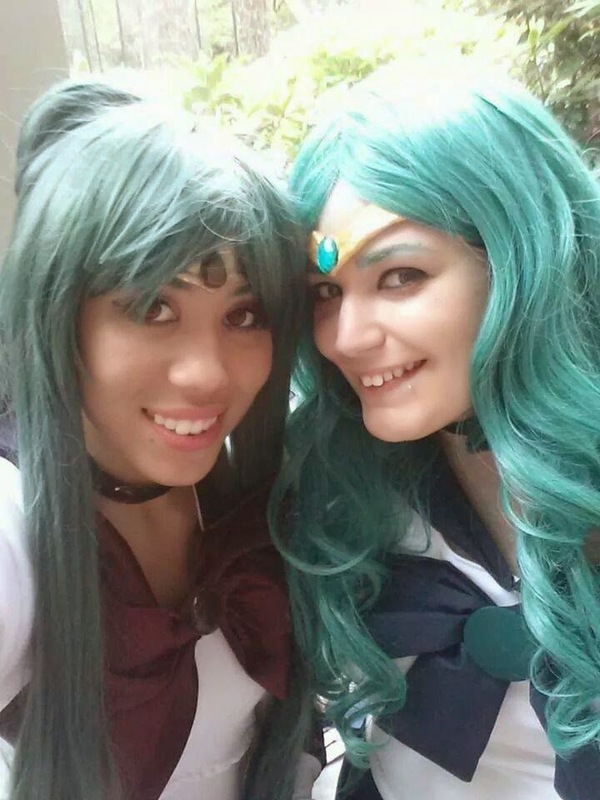 Whether you are interested in cosplay as a spectator, just starting out, or have been doing it for years, Kit hopes that her monthly column entertains or inspires you. Reach out to Kit Cosplay on Facebook, Twitter, or shoot her an email – She’d love to chat with you!